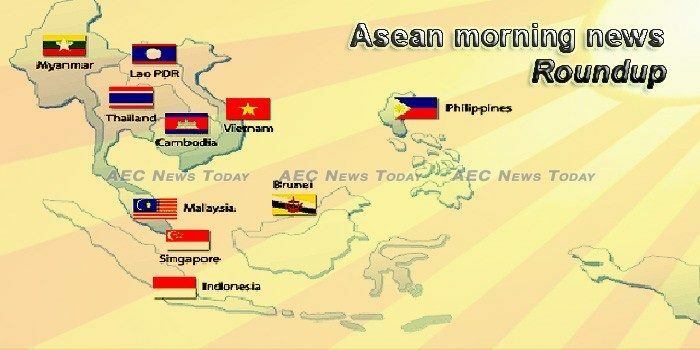 Thailand on January 1 started its role as the rotating Chair of the Association of Southeast Asian Nations (ASEAN) in 2019. IN a push for digital transformation within the Asean region, member countries will join forces to implement the Asean Single Window (ASW) for all 10 nations in the trade bloc by the end of next year . Japan will help build “smart cities” across Southeast Asia, using artificial intelligence and networked devices to tackle problems like road congestion and energy conservation. The government has cut import duties on crude and refined palm oil effective Tuesday to comply with preferential trade pacts with Southeast Asian nations. The adoption of the “ASEAN Enabling Masterplan 2025: Mainstreaming the Rights of Persons with Disabilities” at the Singapore Summit on Nov. 15 marks a new milestone for persons with disabilities in the regional community. The Government has appointed Dr Shashi Jayakumar from the S. Raja-ratnam School of International Studies (RSIS) as Singapore’s representative to an Asean commission which promotes human rights. In the first half of 2019, a billion Asians will elect the next leaders of the region’s two largest democracies. Minister of State of Commerce and Industry, C. R. Chaudhary on Tuesday said that the proposed Regional Comprehensive Economic Partnership (RCEP) between ten ASEAN member states and their six FTA partners will benefit Indian MSMEs. The ASEAN market is considered to have a large potential for Vietnamese enterprises, with some advantages such as cultural similarities, consumption trends suitable for Vietnamese goods, low market research costs, and easy export transactions. Brunei needs take advantage of the economic opportunities within ASEAN by building e-commerce and strengthening intra-regional trade, the monarch said in a televised address on Monday. Will 2019 Spell Economic Boom for Asia? The global economy has faced adversity and uncertainty in recent times. Political kerfuffles such as Brexit and trade wars between the US and China have made markets less than stable. However, there is some good news as Asia’s emerging economies – particularly in Southeast Asia – are predicted to go from strength to strength. INDONESIAN ride-hailing company Gojek will finally begin operating in the Philippines, Singapore and Thailand this year, fulfilling its plans for expansion in Southeast Asia and entering a market monopolised by regional rival Grab. As Thailand assumes the chair of Asean for the year 2019, we cannot help but look back with pride at the accomplishments of this remarkable and resilient regional grouping ever since its founding in Bangkok. Britain’s plan to build a new military base in Southeast Asia is likely to further complicate the strategic landscape in a region already fraught with maritime disputes and geopolitical rivalry between Beijing and Washington, Chinese analysts warn. 2018 was a whirlwind of a year for Southeast Asia. The region experienced tragedies, achievements and faced many challenges in between. During the second half of 2018, the Southeast Asian region was hit with a number of catastrophic events beginning with the dam collapse in Lao and involving several tragedies in Indonesia. Brunei must take advantage of the economic opportunities within ASEAN by building e-commerce and strengthening intra-regional trade, the monarch said in a televised address on Monday. Luxury goods comprises of products such as accessories, footwear, apparel, watches and others which are quite expensive and target those consumers who belongs to premium class. The ruling party won a landslide victory in polls that garnered both criticism and praise internationally, while the EU began the process of withdrawing access to its ‘EBA’ trade deal and Kem Sokha was released on bail. As the amendment to the Law on Political Parties awaits approval from the King, former opposition members on two sides of a leadership divide within the CNRP seem to have different plans when it comes to having their political bans lifted. The Cambodian Council of National Unions yesterday issued a statement blaming recent garment factory strikes in Phnom Penh on instigators. A landslide has buried 30 homes in village in Java, killing at least 15 people as rain and the terrain hampered rescue operations. State-owned oil and gas holding company PT Pertamina would by the end of this year have established 123 one-price fuel stations – a government program to provide fuel to remote regions at prices similar to what are charged in Jakarta. The number of tourists visiting Ancol Beach experienced a decrease during this year’s Christmas and New Year holidays, compared to the previous year. Rice shortages are the latest setback in Laos’ relief efforts for victims of the country’s worst flood disaster in decades. The ongoing Lao National Assembly (NA) session has approved a reshuffle and appointments in public security, national defence and the banking sectors. The cost of freight services in Laos would be much lower if the government allowed foreign firms to provide these services, a new study suggests. Malaysia’s official reserve assets amounted to US$102.03bil as at end-November 2018, while other foreign currency assets stood at US$51.6mil for the same period, Bank Negara said. Petroleum retail prices will be determined at the Cabinet meeting tomorrow, after considering the interests of both buyers and sellers. The Tatmadaw (military) has threatened legal action against media organisations that report unverified stories involving security issues and armed conflicts. Myanmar may be in for a tough patch with foreign direct investments declining, inflation rising and global uncertainty adding pressure to the kyat. Yet, recovery may be on the cards as opportunities emerge on the back of policy reforms and the execution of projects related to China’s Belt and Road Initiative (BRI). Myanmar’s foreign trade reached 6.1 billion U.S. dollars as of Dec. 7 in current fiscal year 2018-19 which started on Oct. 1, according to the Commerce Ministry on Saturday. Singapore’s economy could grow at a slower pace in 2019 amid global uncertainties, but the Republic enters its bicentennial year with “renewed vigour and purpose”, as a strong team of younger political leaders is gradually taking over the reins of government. Singapore and Malaysia’s foreign ministers will meet in Singapore on Jan 8, Singapore’s Ministry of Foreign Affairs (MFA) said on Tuesday (Jan 1). It comes as the two countries are locked in a dispute over territorial waters and airspace. Singapore’s economy likely maintained a steady pace of growth in the fourth quarter as the manufacturing sector outperformed forecasts, but simmering trade tensions between the United States and China could slow the momentum next year. More signs of political unrest have emerged in the run-up to the Feb 24 general election, with pundits now anticipating further political disruptions after the poll. The 2,761 road accidents nationwide over the first five days of the New Year holidays have claimed 314 lives and maimed 2,848 others, Public Health Ministry deputy permanent secretary Dr Prapon Tangsrikertikul said on Tuesday. A law requiring Internet companies in Vietnam to remove content the country’s authorities deem to be against the state came into effect January 1, in a move critics called “a totalitarian model of information control,” AFP reported. Â Cross-border services are posing challenges to Vietnam’s tax collection as existing tax regulations have yet to keep up with the fast-paced digital world. Vietnamese authorities have halted Vietjet Aviation’s planned increase in flights following a series of aircraft safety incidents, putting the country’s largest budget airline under supervision as the Tet holiday season nears.